What Celebrity would you would most like a selfie with this Valentine’s Day? As Valentine’s Day comes sweeping into the hearts of the public HTC would like focus their attention on those loving moments between couples, however they have noticed that the British public might just be wishing they could have a celebrity to cuddle this year. The male and female celebrities Brits would most desire a Valentine’s Day selfie with are David Beckham and Jennifer Lawrence according to research carried out by leading design and technology company HTC, to promote its Desire 620 handset. Beckhams are top male heartthrobs. Unsurprisingly David Beckham topped the league of most desirable men to have a selfie with, but the main talking point is a new rival for the crown in the Beckham household with Brooklyn making an appearance on the most desired list. Brooklyn Beckham beat out competition from celebrity heart-throbs including bad boy Justin Bieber and One Direction’s Zayn Malik who came ninth and tenth respectively. Combined the Beckhams achieved a fifth (19%) of the 2000 18-30 year olds polled, indicating the father-son duo could be one of the most sought after selfie opportunities possible. Brits prefer American women. Jennifer Lawrence’s leaked obsession with selfies may have made her the most desirable female, but the biggest surprise was that the highest placed British woman was only number four. Selfie queen Helen Flanagan, was also beaten out by Rihanna and Katy Perry, indicating that most of the UK prefer American women. The next highest ranked Brit was Kelly Brook in sixth. Blokes would also be most bold, with a third of blokes most likely to ask their celebrity crush on a date or for a kiss if they met them. (32%) Women are shyer, with only one in ten likely to do the same (11%). Most popular celebrity selfies. Ellen DeGeneres took the most popular selfie of the last year with her shot of herself by a who’s who of Hollywood actors, topping other famous selfies of the last 12 months including Kim Kardashian’s famous ‘belfie’, Lukas Podolski’s picture of the German World Cup winning team and Cara Delevingne’s ‘ugly’ shot. Why do we care about celebrity selfies? We check up on our favourite celebrity’s twitter feeds between two and three times a day (2.51), with nearly a third of us looking at celebrity selfies to get a glimpse into their private lives (29%) or to get a behind the scenes look at what they have been up to (31%). Over a quarter of British females also check celebrity selfies to get fashion inspiration (29%) and a fifth to get beauty tips (22%). Celebrities are inspiring us to be more selfie obsessed than ever, with the estimated 11 million 18-30 year olds in the UK posting a total of more than one billion selfies in 2014. The average 18-30 year old in the UK is posting over 100 selfies a year with nearly half (49%) now posting at least one selfie a week to social media. To cater for the huge interest in selfies and the desire to make ourselves look our best on our social networks, HTC has now created a range of hardware and software designed specifically for the selfie generation. 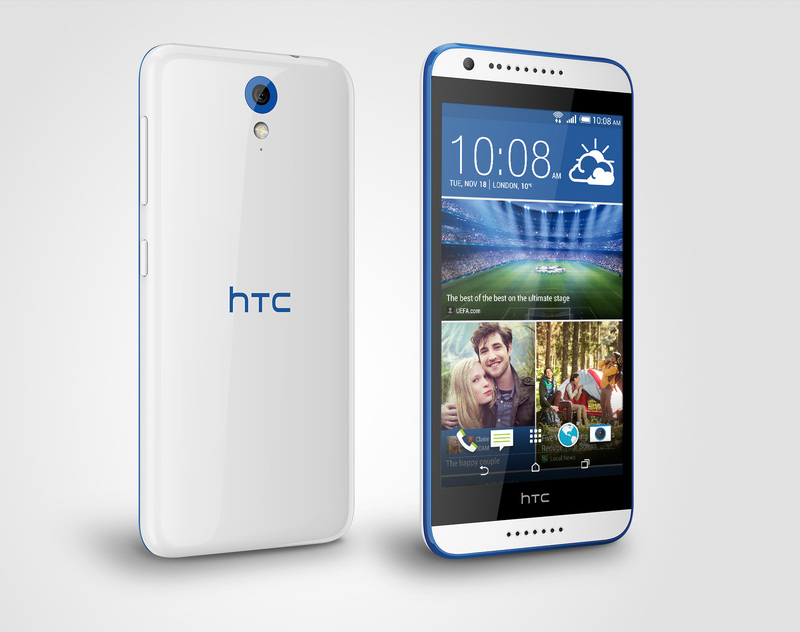 The HTC Desire 620 features best-in-class camera tools with a large 5” screen and quad-core processing power. The 8MP main camera has auto focus technology to deliver crisp shots every time, and the 5MP front-facing camera features a built-in countdown mode so you’ll never miss a selfie pose again. Face Fusion is a tool that allows you to merge your face with that of a friend or celebrity for a completely original look and Live Makeup allows you to set the desired level of skin smoothing and preview the effect in real-time before the image is captured. Voice Selfie also removes the need for awkward hand contortions by enabling you to trigger the shutter release with a simple command. Simply say “cheese” or “smile” as soon as you’ve struck the perfect pose or trigger the video recording with “action” or “rolling” commands. For more details on HTC’s Desire range, visit www.htc.com/uk/ The HTC Desire 620 is available in Santorini White exclusively from Three or in Tuxedo Grey on O2 or Vodafone from Carphone Warehouse. HTC EYE Experience features are also available on the following models: HTC One (M7), HTC One (M8), HTC Desire Eye, HTC One E8, HTC One mini, HTC One mini 2, HTC One max, HTC Desire 816, HTC Desire 820.